As The Makeup Examiner has previously written, scent sets the ambiance for any experience. What would life be without the scent of pumpkin spice in the fall or florals on a warm summer night? Scents entice and invite us to join in or relax and sooth a tired mind. So, as much as I adore perfumes, I too adore luxurious scent everywhere I wander. Just as all perfumes are not made alike, we find this will room sprays. 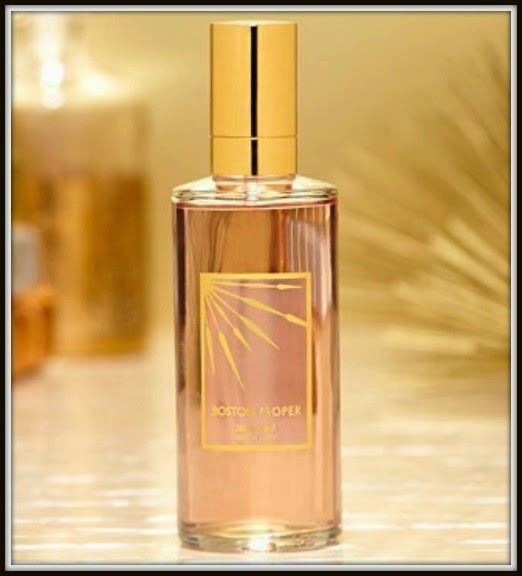 Admittedly I more apt to light candles than to reach for a room spray, but there’s something quote lovely about Boston Proper Rose Gold Room Spray ($49-6.0oz), which just launched May 1. To start Rose Gold Room Spray is highly scented, with only a spritz needed to create a scent-filled room and the bottle, with a rose blush liquid trimmed with a frosted Boston Proper label, is chic enough to be displayed. At first spritz, citrus and cinnamon are immediately evident and gently open into rose and jasmine with a final scent of soft musk and amber. Despite a top note of cinnamon and base notes of musk and amber, that I usually place in the cooler weather scent category, Boston Proper Rose Gold Room Spray is a room scent for all seasons that would be just as inviting in the winter as it would be during summer. Yes, The Makeup Examiner is hooked!Boston Proper Rose Gold Room Spray is available online at Boston Proper and at all Boston Proper locations. Check out more about Boston Proper on Facebook, Twitter and Instagram.